Note: In this workout you move from each of five stations after a minute. The clock does not reset or stop between exercises. This is a five-minute round from which a one-minute break is allowed before repeating. On call of “rotate,” the athletes must move to next station immediately for best score. One point is given for each rep, except on the rower where each calorie is one point. Keep a running total of repetitions and calories at each station. How many people can Rx todays session and achieve 300 or more points each round? Compare todays score to August 7, 2017. 5PM – NEW CLASS! 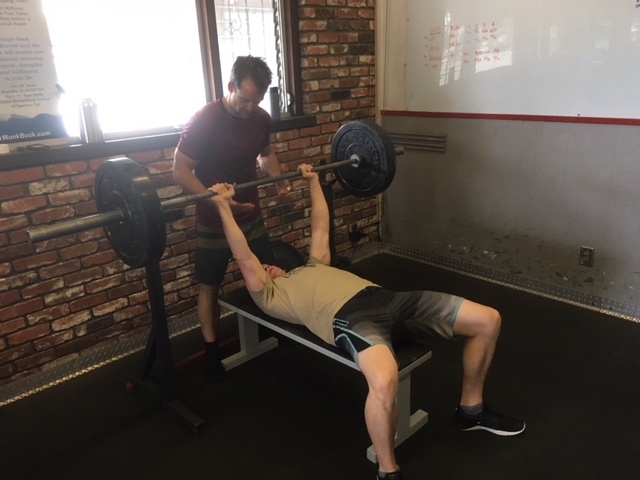 CrossFit Amundson Olympic Lifting Club – All Levels Welcome!